Our Farm is an event and wedding venue located in the gorgeous Piedmont Region of Virginia. Cedar Mountain Farm assists couples in crafting timeless weddings that are effortless and highlight the uniqueness of their love. 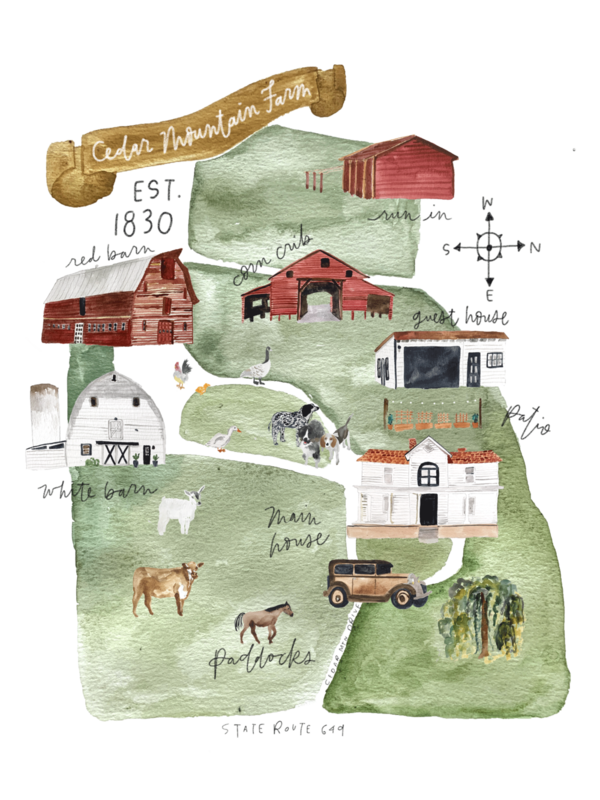 Built in the mid 1800s, Cedar Mountain Farm began as a dairy farm. Today, it is fully operational and its bucolic work includes raising chickens, goats, geese and ducks as well as growing feed crops. Whether you are planning a wedding, an engagement photography session, or a family gathering, our Farm's lush rolling hills and rustic details create the perfect space for your next special occasion. Interested in more information about special events, workshops, Weddings, and more? Contact us for more details or to schedule a site visit. We are an operational farm, so all visits and photoshoots are by appointment only. Our venue is open Monday through Saturday, 9am to 5pm. We can't wait to hear from you!